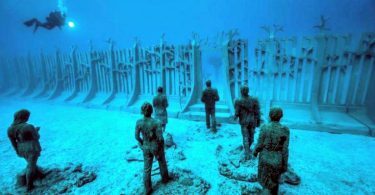 It is often said that few people have been able to see phenomena as strange and unique as the pilots. The mystery that the skies enclose, with their atmospheric phenomena are without a doubt amazing. One of the strangest known cases occurred on January 31, 1978, in the skies of Euskadi, Spain. Flight 502 of the Spanish company Aviaco, a Carabell 10-R, commanded by commander Carlos García Bermúdez, crossed the skies covering the route between Manises (Valencia) and Sondika (Bilbao). As they approached the Sondika airport, a thick, opaque blanket of clouds stood a kilometer high. 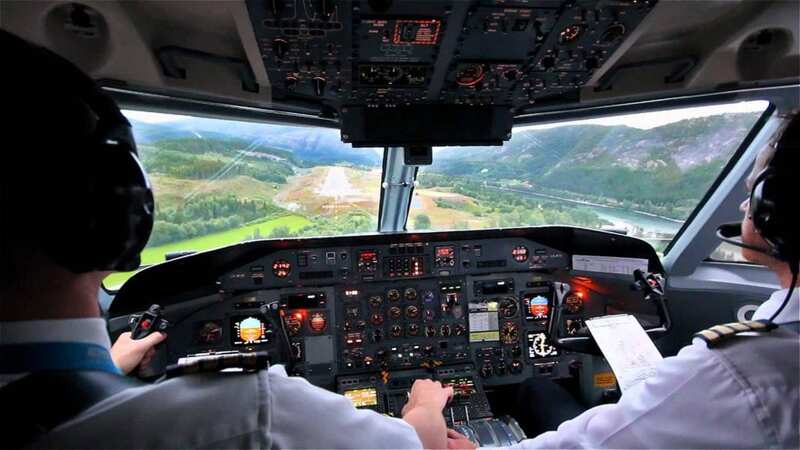 With the approval of the control tower they begin the descent but they have to stop at 12,000 feet because they inform them from Sondika that the “field is under minimum” and that they can not land. 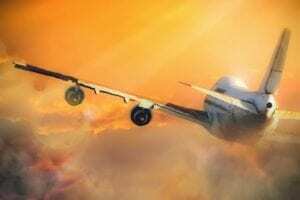 They were told that they should modify their flight plan and go to the Santander airport, about a hundred kilometers away and with more favorable weather conditions for the landing. Commander Bermudez modified the trajectory of the plane and placed it at 10,000 meters in the direction of Santander, in just 15 minutes they would land at the new destination, however 10 or 15 miles from Sondika, something abnormal appeared in front of them. As they did not have visibility because they flew between clouds they went in “instrumental flight”. 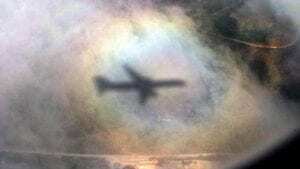 The crew could see how a huge cloud formed from nothing, was lenticular, compact, huge and so bright that both pilot and co-pilot had to put on protective goggles to see normally. Of the six tele-compasses that the plane carried in triplicate, they all began to turn very quickly and abnormally. They were heading west that marked the compass of binnacle, but they saw that they did not advance because the meter of distance or miles at the end of the 6 or 7 minutes that the strange phenomenon lasted, marked the exact point where they were before entering the cloud . The radio equipment of high frequency transmission, were all blocked so they could not contact the Santander Control Tower. The airplane counter began counting the miles backwards as if the plane were flying backwards. For seven minutes, the situation was more than anguishing for Commander Bermúdez who, with more than 11500 hours of experience in commercial flights, had never been involved in such a situation. 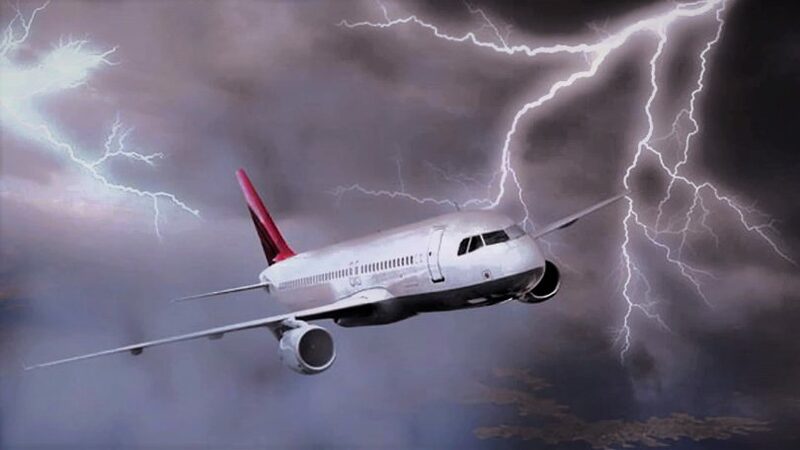 When leaving the cloud, everything suddenly returned to normal, all the instruments returned to their normal parameters except for the miles account that, surprisingly, marked the same distance traveled that at the same time they were introduced in the cloud, As if in those seven minutes the plane had not traveled a single meter away. Flight 502 landed minutes later without any problem in Santander and there the crew gave part of what happened. At their destination they discovered that the last leg of the journey, from Bilbao to Santander, had lasted 32 minutes, seventeen more minutes than it should have taken. They never knew where the remaining fifteen minutes had been. The pilot thought that the cloud had swallowed them in a kind of space-time crack in which time had slowed down in some inexplicable way. We studied the case and the chances that they had been trapped in some kind of static electricity charge, but any explanation was ruled out. The case has gone down in history as one of the most surprising anomalies that Spanish pilots have faced throughout its history. Three decades later, the file remains open.